One of the simplest ways to add some pizzazz to party decor is creating food labels. 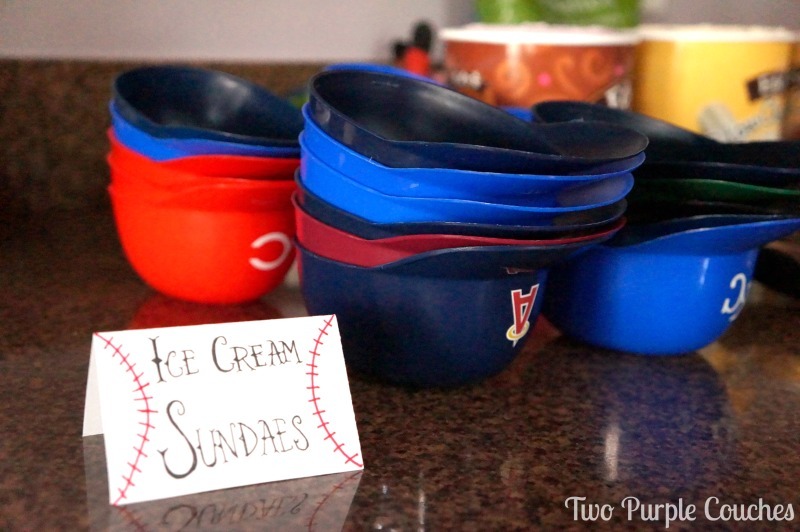 It’s an easy way to reinforce the party theme, but also a great way to let guests know what’s on the menu. 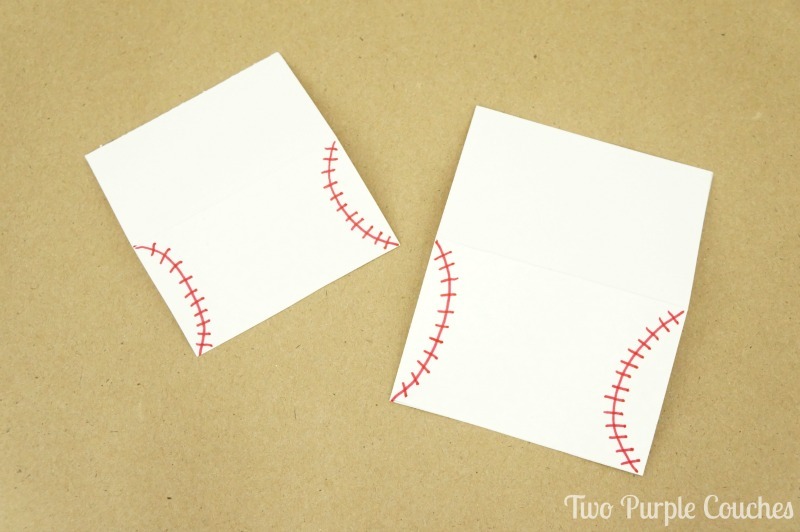 The only materials I used to make these baseball food labels were card stock, a red marker and a black pigment liner. I even dug through my pile of paper scraps and used up smaller pieces of card stock that I had leftover from other projects. I trimmed pieces of card stock down to about 3″ by 4″, but really, the size you want is up to you. I knew most of these food labels were going to be tent cards, and some needed to hold longer phrases like “Nacho Bar” and “Ice Cream Sundaes”. For each label, I folded the card stock width-wise in the center, then used a red marker to add the stitching detail down each side. 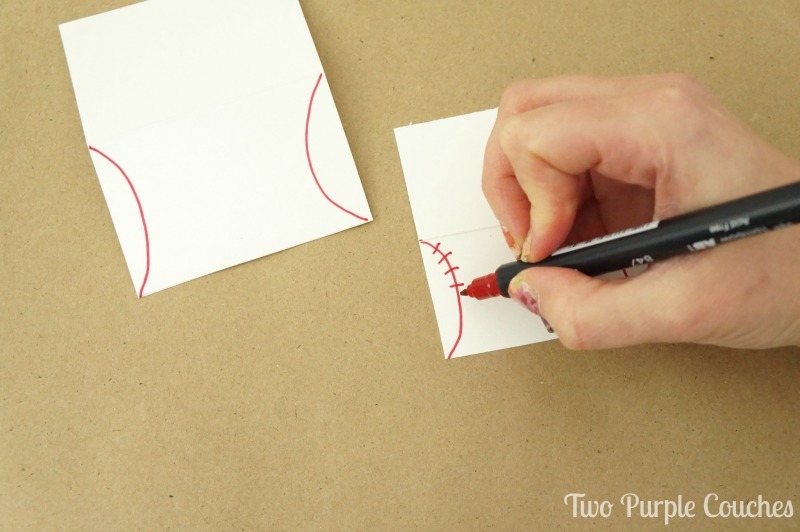 Just draw a curved line, then add small hash marks through it to create the look of stitches. I spent some extra time on the lettering of these food label, especially since I wanted them to have a vintage sports-y feel. I played off of a vintage lettering style I used on the scoreboard chalkboard I created (see it here). For this lettering, I used a black pigment liner. If you’d prefer your food labels to be on sticks, fold the card stock in the other direction (length-wise versus width-wise) and tape or glue around a skewer stick. 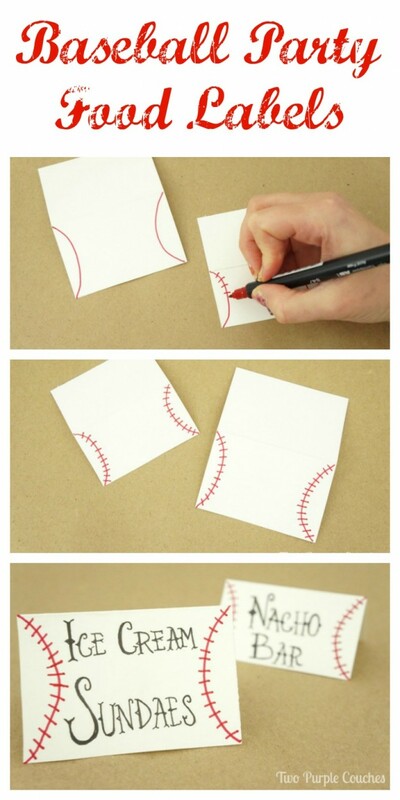 If you’re not all about the hand lettering, you can find a font you like online and print the words off on card stock! Here’s a quick graphic for reference. Don’t forget to pin this for later! This entry was posted in Made It Myself on March 10, 2016 by Two Purple Couches. Loves your idea…thanks for sharing! These are too cute! We have baseball on the brain right now with two grandsons playing for different schools. We need to use this idea when we celebrate the end of the season. Hi there! 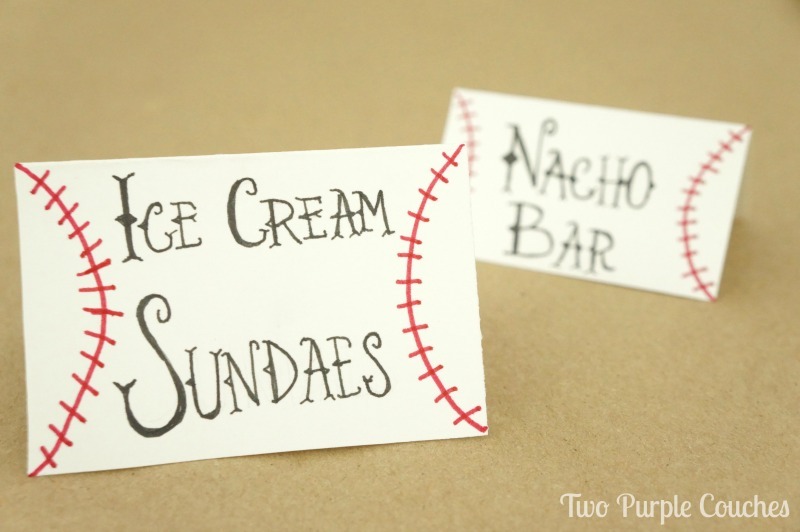 I have the most random question- what is the font that you used in the Pinterest Graphic that reads “Baseball Party Food Labels”? Thank you so much!